Discussion in 'Lizardmen & Saurian Ancients Discussion' started by Grungni, Feb 5, 2019. Is there any thoughts on this? What is the Lizardmen total population do you all/each think? Paradoxical Pacifism and hardyworld like this. I'm curious what the consensus is on this. Not trying to hijack the thread, but what do you think the general population of each of the main Warhammer races are in the setting? I could be wildly off on many/all of these, but it's my first guess. This number ^ seems irrelevant? Instead: summoned in whatever numbers required. What does “(short scale)” mean? What do your figures total up to? I think, at most, WP would have a population capacity twice that of Earth at a similar Tech-level. In the figures that follow in the next post the numbers for 1500 AD are emphasized with bold. I think 1500-1700 is about where the technology is, at least for food production. If WP has twice the surface area my guess would be its population —all totaled— would only be double that of Earth at a similar era. 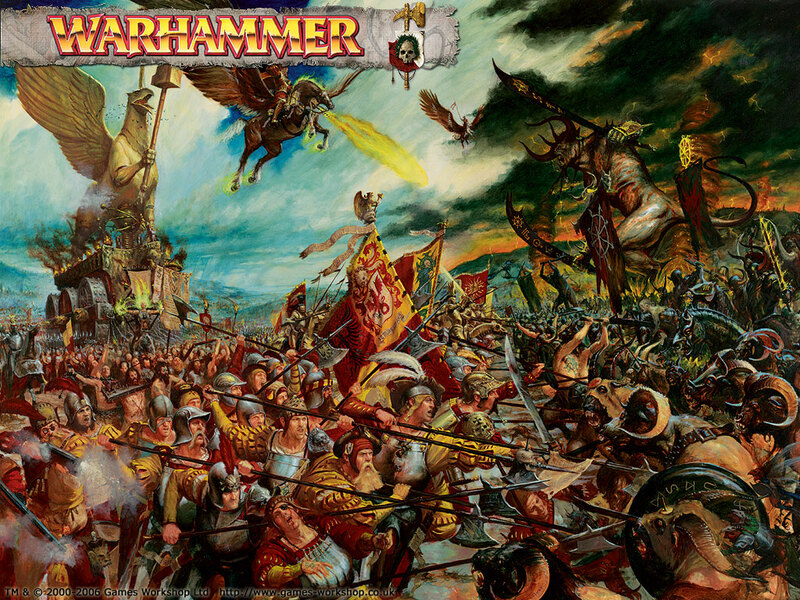 My thought is the Warhammer Fantasy world played out as a game with every model included. It uses a ratio of 1/100 for size ... 100 km on world map is 1km on imaginary tabletop (tis naught but a fun thought) ... i am also trying to work out the wh40k galaxy but that is a seperate thing ... my thought is the warhammer world and its entire populations are played out in a standard game setting ... it would take, i guesstimate, millions of turns and involve more models and time in life than is currently achievable. I think the summoning rules important and i wish to know them. How many Chaos Daemons would be summonable? And Undead Ghosts? Endless? 275 crew per boat (boats range from crews of sizes 50, 100, 150, 200, 250, 300, 350, 400, 450, 500 (note Dreadfleet "superships", in this warhammer based game i see a boat with 180 cannons ... i assume the war machines fitted to boat need only 2 crew ... not 3...) the average crew for human sized models is 275 on average. Kislev - 1 million, 30% militant = 300,000 troops, 1% sailors = 3,000 sailors, 275 to crew each ship, 1/100 Hero/Other = 3,000 Heroes, 1/1000 Lords/Other = 300 Lords, 1/1000 Spellcaster, Mage, Wizards etc/Other = 300 Kislev Spellcasters, 1/1000 Winged Lancer/Other = 300 Winged Lancers. Chaos Warriors - 1,111,111, that is 1,000,000 normal (1/10 Knights = 100,000) and 111,111 Chosen (1/10 Chosen Knights = 11,111 (or so)). Daemons ... i need to know the summoning rules as these effect the game massively. If the game is to be played out properly as an imaginary thought then the summoning of more chaos troops and also undead is a major factor. @Grungni you seem to be asking and half answering questions beyond what the OP asked. How many Chaos Daemons would be summonable? And Undead Ghosts? Endless? Undead, all types, summonable: roughly equal to the total population currently alive. So not endless (plus there are additional limiting factors). One tabletop is nowhere near 1km of distance. A regulation 6x4 foot table is only 1/10 of a kilometer long. If 150 tables were shoved together edge-to-edge in an array 10 by 15 tables that would create 1 square kilometer at Warhammer Scale. Oops. I didn’t scroll high enough. Having a hard time following ^ these maths. This much: “6 foot by 4 foot is 72 inch by 48 inch” is correct. Everything else that followed was a mathematical train wreck. Sorry. First I think you can have as many or few people as your story requires and not to let math get in the way of a good story. It still can be fun to make imaginary demographics. In the real world, the human race did not exceed one billion people until well into the 19th century. The Warhammer World is twice as large as the real world. If you take the highest estimated population figure at 1400 and then double it you get about 800 million humans. But that assumes that the WHF is equally inhabitable to human life. But the WHF equivalents to North and South America, and Africa have far fewer living humans in it than the real world did at that time. North America is covered up by a large amount of Dark Elves, a modest amount of Lizardmen and lot of inhospitable wastland. South America is mostly Lizardmen and monsters. Africa is split between a lifeless desert full of angry undead, an inhospitable jungle, and some tiny human settlements near the northern seas and some tiny non-human warmblood settlements near the southern seas. Europe's equivalent to Scandanavia is tainted by Chaos and filled with horrible monsters. That means it can support proportionally fewer humans. In the medieval world, a lot of the land was inhospitable forests, that works in WHF, but Europe would have a smaller population if said inhospitable forests were full of hostile goblins, Beastmen, and the like that make taming the wilderness really slow if not impossible. So for starters, the WHF has a lot less productive arable land at least proportionally than the real world. Then you establish that large portions of what we know as human inhabited lands are ceded to Lizardmen, Elves, Dwarves, undead, Skaven, greenskins, Ogres, random monsters, the number of humans is smaller still. Next add-in WHF had a lot more wars, and famines plagues. 400 million humans is generous. Maybe Warhammer humans are more fertile than real world humans. In real world medieval era, you need at least 20 civilians at home growing food and manufacturing supplies to support a soldier in the field. We are talking maybe 20 million able bodied fighting men (and this includes the Empire, Brettonians, other countries AND Warriors of Chaos). Don't ask me to allocate the 400 million humans to the various nations, I'm too lazy for that. Ulthuan is probably the most resource rich land in the WHF world, it's also described as under inhabited because the High Elves have been gradually declining for generations. Naggaroth is a lot less fertile but it's bigger. The Wood Elves lands are resource rich, but they want to clear the land or anything like that. I'm thinking at most we would have 50 million elves. But the High Elves and Dark Elves have mandatory military conscription. The Wood Elves live in a hostile place and have to fight on a routine basis to survive. They also routinely train their women to fight more than humans do with there. They can probably muster around 10 million soldiers if they are fighting defensively, maybe more. If they are fighting in campaigns far from the homelands, their armies would need to be much smaller. Maybe 3 or 4 million. Much like the Elves, a higher proportion of able bodied adults probably have combat training. Defensively they could probably must 8 or 9 million fighting Dwarfs. On campaign supply lines would be a nightmare to maintain. They can probably support two million Dwarfs on campaign under ideal circumstances. Ogres don't really have any lands of their own. They certainly don't have farmland. They also eat a lot more food than humans. I cannot imagine more than 3 million Ogres and some change. An adult male ogre that cannot fight is not long for this world, but they rarely let their women fight, so we are talking about a million fighting ogres at best. The Beastmen, Orcs and Goblins are stuck in the wilderness and do not keep farms. They certainly have a lot of land though, and they reproduce fast. They also fight each other a lot which keeps their numbers down. However many there are, nearly all of them are able bodied fighters. These creatures can once in a while show up in terrifying numbers. Considering the humans can field about 20 million fighting men. Terrifying numbers would be 20+ million. Collectively the Beastmen and Orcs and Goblins probably fluctuate between 10 million and 40 million "people" not counting Night Goblins and other subteranean creatures. When the Beastmen are numerous, the Orcs and Goblins are not numerous and visa versa. The Skaven are generally said to be more numerous than all the other races combined. They don't have to literally outnumber everyone combined to be terrifying. I figure anywhere between 400 million and a round billion Skaven is appropriate. The Skaven, like the humans would probably need at least 20 civilian rats to support a well equipped fighting rat. They probably need 10 slaves at home to support one conscripted fighting rat. The Skaven probably have about 20 to 40 million professional soldiers at any given time. Most of the time, these soldiers stay in the Underempire to make sure the other soldiers don't try anything. For short periods of time, the Skaven can probably conscript 100 million slaves at almost any given time. The Skaven have to share their underground realm with Dwarfs and Night Goblins. Dwarves were already covered. I'm thinking the Night Goblin population would fluctuate between 8 and 20 million. That's not quite outnumbering all the other greenskins combined. A single vampire probably needs at least 1000 living humans nearby to feed off. A single vampire would probably need 10,000 local humans if he or she wants to quietly exist as a vampire and maintain anonymity. I'm envisioning only a couple thousand vampires at most though this tiny number of vampires can raise armies numbering in the millions fairly easily. The Tomb Kings only have a small amount of land, but their living empire existed for thousands of years and the vast majority of their monarchs and soldiers were magically treated to come back again. They could easily have hundreds of Tomb Kings, thousands of necromancers, and 100 million fighting skeletons. It takes a lot of magical energy to animate a skeleton and Settra is a hardass, so most of the time, most of these skeletons are sleeping. The best baseline for Lizardmen is the Pre-Colombian population of Native Americans. Unfortunately, anthropologists don't have much of a consensus on this. There are many Southlands Lizardmen too, but since most of "North America" is devoid of Lizardmen, we will call it a wash. The peak Native American population is estimated as low as 10 million or as high as 100 million. That doesn't give us as much to work on but lets go with 50 million Skinks and see how that works. Lets say it takes at least five Skinks to support a Saurus Warrior long term, and that's assuming that Saurus rotate into the workforce (based on the arbitrary numbers I set for my own temple city). The bigger Temple Cities probably have proportionally more Skinks so average how we have 10 Skinks per Saurus give or take. So let's five million Saurus (this counts Cold One Riders and Temple Guard too). In the army book you need 8 Skinks for every Kroxigor, but not every Skink unit is paired with Kroxigors. Lets say there are 20 Skinks per Kroxigor. That's about two and a half million Kroxigors. While nearly every Skink can probably pick up a sword and fight Weapon Skill 2, Lizardmen are close enough to human that it probably takes several civilian Skinks to produce supplies to support one fighter in the field. That said, Lizardmen are cold blooded and primitive, they probably don't need as much as humans do, supply wise. Maybe it only takes four civilians to support a fighter in the field. Of the fifty million Skinks, 20 million of them are already spoken for. They have produce weapons, armor, and food for the 5 million Saurus Warriors. Saurus Warriors can contribute to the civilian workforce, at lest when it comes to catching food and carrying heavy things, so lets free up half of those 20 million Skinks. Kroxigor are laborers first and warriors second. They contribute to the civilian workforce far more than they take from it. You probably only absolutely need one Skink to support one Kroxigor. This means 12.5 million Skinks are stuck in civilian roles. This leaves 37.5 million Skinks. Lets say 7.5 million Skinks are warriors and hunters full time (counting those riding Stegadons, Terradons and the like). 10 to 15 million Skinks are part of the reserves, they can be drafted into cohorts if a Temple City is threatened but they rarely march out in battle more than 50 miles from their home cities. There could be 50 Slann, 5000 Slann, or anywhere in between. Where they fall on the continuum, matters a huge deal to how much magical power the Lizardmen can muster, but a Slann is not that hard to care for. Even if it takes 1000+ Skinks/Temple Guard to support one Slann, the Lizardmen have the manpower to 50,000 Slann without taxing their overall population overmuch. The Warhammer World is twice as large as the real world. My Source is my friend @eron12 , the only forumite on Lustria-Online who I know in real life. He came across that factoid when doing background research on his plan to create his own fantasy world from scratch. I don't know where he got that factoid from. I just took his word for it. The answer is surface area. The square mileage of all the land masses is double their real world counterparts. On the map of the Old World, the Empire is basically where Germany is in the real world. The Empire has roughly twice the square milage of real world Germany before the first World War. Vengefulnoob and Paradoxical Pacifism like this. I would recommend giving this link a look over. If you type in the fertility of the land and the dimensions of the land, it will tell you roughly how many historical medieval humans could have lived there, how much of the area would wilderness, how much farmland, how big would the largest city be, etc. However in WHF (and most fantasy stories and RPGs), the cities are larger than this tool says they "should" be. The castles are bigger and the towns have more guards. Obviously you need to figure how to tweak the chart for incorporating non human peoples. For instance a Orcsneeds fewer resources to survive than a human, so they might be able to packed more densely into an area, but a goblin is not nearly as productive of a farmer or craftsman, so they might be packed less densely into an area. I think it's important to remember that the guiding influence of the Old Ones can't really be over-stated; They literally shaped the world to be as hospitable to the various races as they thought they should, and with a planet twice the surface area of Earth, and clearly a lot of pseudo-scientific magic to uplift the various species and modify them at will... that's a lot of potential. It seems fair to imagine that the predecessors of Humans, Elves and Dwarves all proliferated and profited from thousands of years of relative abundance in which to populate the planet, while the ranks of Saurus were large enough as to counter the completely unregulated forces of the Chaos Gods across much of the world for over a thousand years. Indeed, the sonic bombardment of Quezotec resulted in the deaths of "Billions" of Lizardmen. GW has a flair for over-statement, but it feels fair to state that the numbers being dealt with are of a realm beyond the imaginable. A planet that could previously support a figure near a trillion in a near-paradise, even with the heavy devastation implied by all Chaotic Invasions, Waaaghs and Skaven attacks, might have the potential to support a small fraction of that once again, some 7000 years later. While of course, relying on art for reference in Warhammer is a poor metric, it does give something of a feel for the universe. The numbers imply armies that span so wide as to blot out the terrain they cross. Such a world population could potentially be billions, spread across all races. Basically, GW's maths makes no sense. But then if it did, it wouldn't be the Warhammer World we all know and love.